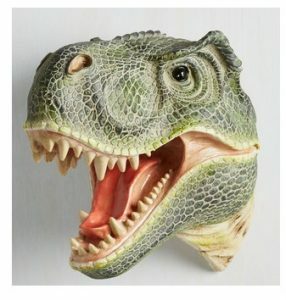 …the Fun for your Life Wall Décor Dino Head (right). …the Alma Otter Tape Dispenser. …the Quench Your Curiosity (read cat) Wine Stopper. …and the Whale Hello There Cocktail Shaker. Check out Mod Cloth’s Quirky Home Décor shop here. See all the other fine offereings from Mod Cloth here. Designer Julia Knight creates some wonderful products, all on display on her lovely website. Her designs are elegant throwbacks to a time when everyday items were made to look good and last forever. 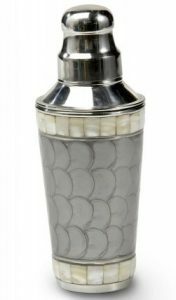 Checkout Julia Knight’s Barware Collection here. See all of Julia Knight’s collections here. OK, so my good friend, and sometimes Lost Cowboy contributor, Lynda sent me this recipe for a Grilled Apple, Cheddar and Mustard Sandwich a couple of weeks ago and I was all over it. I love slices of apple paired with a wedge of sharp cheddar cheese so this is perfect for me. I am making this today (sans the mayo) to have along with the lentil soup I have simmering. Heat a cast iron skillet or grill pan to medium. If you are using the mayonnaise, stir it together with the butter in a small bowl. Spread one side of each piece of bread with this mixture. 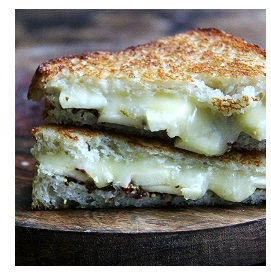 On the other side of one slice, spread mustard, then one slice of the cheese, apples, then another slice of cheese. Top with the second buttered slice. Fry on both sides until the cheese is melted and the bread is toasted and golden, 2 to 4 minutes a side. I am not sure where Lynda found the recipe – but I think I tracked it back to the source – the great cooking and family life blog Alexandra’s Kitchen – find it here. With so many animals waiting for a good home – shelters should be the first place to go when looking for a pet. 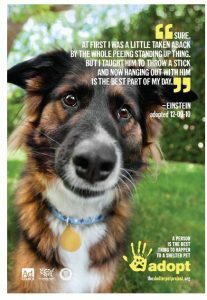 The fine folks at The Shelter Pet Project are committed to raising awareness and supporting efforts to find homes for every shelter animal and that is a cause we can all get behind. Learn more about The Shelter Pet Project here. 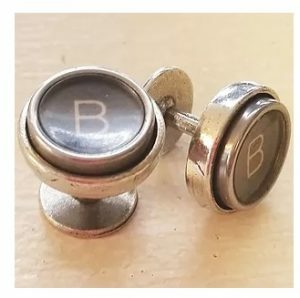 I am really digging the Typewriter Key Cufflinks I found from the fine folks at Junxtaposition – made from genuine keys from vintage typewriters. Find the Typewriter Key Cufflinks from Junxtaposition here. See all the repurpose jewelry finds from Junxtaposition here. 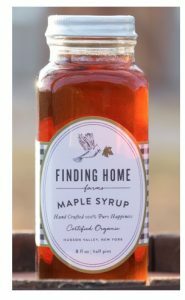 I like a good maple syrup, and that is something that is not as easy to find as you might expect, but the fine folks at Finding Home Farms make it easy with their great certified organic maple syrup – packaged in various ways like their farmhouse bottle. Find the Organic Maple Syrup from Finding Home Farms here. See all the fine products from Finding Home Farms here. January is almost over which means we are that much closer to spring. My mind has already turned to planning my seasonal container garden. I am planning to start my seeds inside a few weeks earlier in March than I did last year so I can have an earlier and longer harvest. Anyway, I am not waiting for that, I am going to start some herbs inside now with the help of the awesome Grow Kits I found from the fine folks at The Urban Agriculture Company. 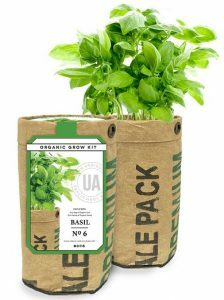 See all the Grow Kits from The Urban Agriculture Company here. Learn more about The Urban Agriculture Company here. It is not secret that I am big admirer of the late great Man in Black, Mr. Johnny Cash. Heck, I have posted about the man many times over the years. Like many great talents, it never ceases to amaze me how prolific he was. Case in point, more than a decade after his death, we are still being treated to new material that allows us to continue to enjoy his immense legacy. In the recently published Forever Words, we are blessed to read a collection of his poems that have never been seen before and it is as amazing as you hoped it would be. There is a great debate over whether or not songs are literature. Indeed, songs are not simply poems set to music, and poems are certainly not songs without music. What you are struck with when you read these works left behind by Mr. Cash is that they are not discarded songs, they are straight up poems. It turns out the great man was as good a poet as he was a songwriter, and that is pretty darned good. 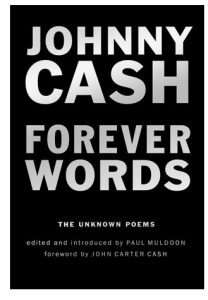 Forever Words by Johnny Cash is available from Amazon and other fine booksellers everywhere. …the Handcrafted St. Francis Retablo Frame I found from the fine folks at Signals. Seriously? Who in your life would not benefit from having one of these great works of art on their wall? The only problem with it is that I think it may not be big enough. 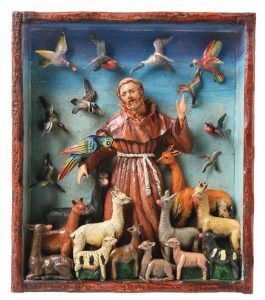 Find the Handcrafted St. Francis Retablo Frame from Signals here. See all the great and unique gifts from Signals here. It has been a while since I posted about a bourbon find, so I thought I would feature the Blade and Bow Kentucky Straight Bourbon Whiskey I recently discovered, because it is soooo good! The perfect bourbon to sip by the fireplace on these long winter nights. 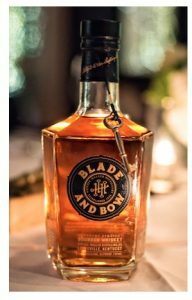 Learn more about Blade and Bow Kentucky Straight Bourbon Whiskey here. The best way out of poverty is an education. Around the world girls face disproportionately more obstacles to education than boys. 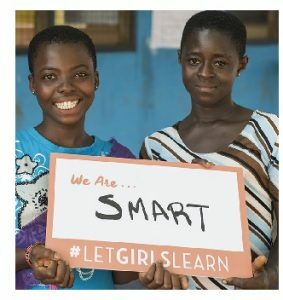 The fine folks behind Let Girls Learn aim to help more young women receive an education. Learn more about Let Girls Learn here. Lost Cowboy is powered by	WordPress 5.0.4 and delivered to you in 1.960 seconds using 61 queries.